While nuclear power plants are an important source of electricity in the U.S., they also contain radioactive material and produce radioactivity that needs to be contained – both under ordinary circumstances and during accidents. The NRC requires many controls and barriers in nuclear power plants to protect workers and the public from the effects of radiation. And the NRC inspects the 104 commercial nuclear power plants daily in this country to make sure these requirements are met. The NRC has full authority to take whatever action is necessary to protect public health and safety and if our inspections reveal issues, we can demand immediate actions — up to and including a plant shutdown. 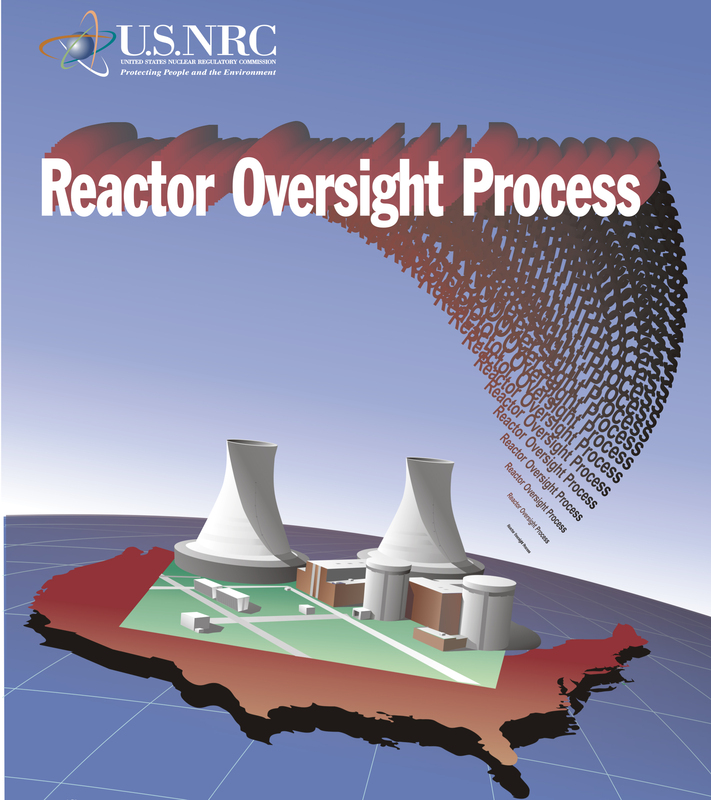 These regular inspections are part of the NRC’s Reactor Oversight Process (ROP). This process uses objective, timely, and risk-informed criteria (meaning the most attention is paid to the most important elements of the safety process) to assess plant performance. There are seven cornerstones in the process that focus on the licensee’s ability to operate the plant safely, to respond promptly and appropriately to emergencies, to protect plant workers and the community and to protect against threat of radiological sabotage. If a nuclear power plant is not meeting our requirements, they may get lowered scores in each area and be subject to more NRC scrutiny. The public can see an annual ROP report on each nuclear power plant online at ROP Action Matrix Summary and Current Regulatory Oversight web page. Periodically, we re-assess the ROP to make sure it’s effective and to determine if we need to make any improvements. We value public input in this assessment—including both what is right and what needs improving! A survey that gives you a chance to weigh in is available here. We are looking for the surveys to be completed by January 13, 2012. We really appreciate your time. We’ll keep you up to date on changes to the ROP on the blog and will be available online on the ROP Program Documents web page. We have about 450 inspectors in the U.S. performing inspections at our commercial reactor sites. Our inspectors performed about 155,938 hours of direct inspection at the commercial reactor sites during calendar year 2010. NRC inspection and inspection support staff expended, on average, about 6,620 hours of inspection at each site. This is equivalent to about six man-years of inspection related activities being expeneded at each of our reactor sites on an annual basis. Licensees are inspected daily by our resident inspectors and typically, there is a regional specialists on site each month to perform their inspections as well. I have a cousin who used to live near a reactor in Russellville, AR. I always thought it would be somewhat hazardous to live near one, but she’s in great health, and after reading the inspection procedures, I can see why. How many people and days does it take to complete a baseline inspection?